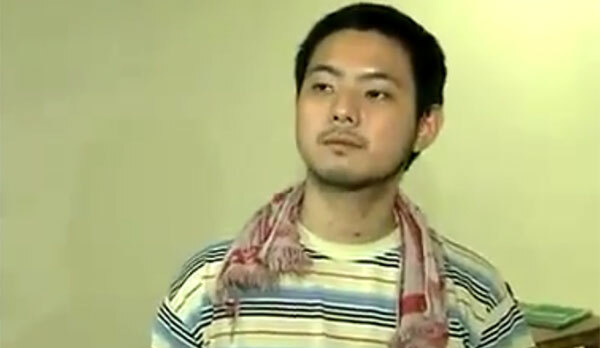 A video of a media interview with multi-awarded actor Jiro Manio, who has reportedly become homeless, is making rounds on Facebook. According to reports, the "Magnifico" star was spotted roaming around the restaurant strip in the lobby of the Ninoy Aquino International Airport (NAIA) Terminal 3 to look for food and clothes. According to an airport security guard, the actor told him he left home because he had enemies there. Reporters from different TV stations chanced upon Manio at the airport, but the former teen star was hesitant to talk in front of the camera. In the video posted Wednesday morning, bruises and wounds can be seen on the actor's neck. There were reports that he was beaten up in the streets, one of the apparent reasons why he wants to stay inside NAIA. Manio's t-shirt looks dirty and he appears like he has not taken a bath for days. It can also be noticed that the actor is irritant and annoyed to see reporters and cameras around. The video of the interview with Jiro Manio at NAIA is getting tens of thousands of likes, shares and views right now.